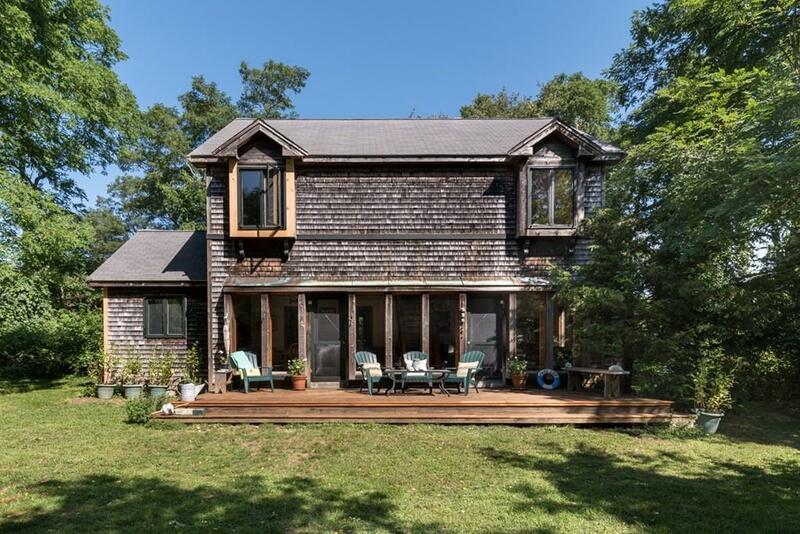 Fall in love with this Cape Cod retreat just a stroll away from the ocean. European design meets relaxed, rustic ambiance in this privately set beach home. Escape the ordinary and exchange it for warm, wood tones weathered for that laid-back, casual look thats down to earth like you! Enjoy an open floor plan with lofty ceilings and a clean, fresh palette thats ready for your accents be that beach casual, artisanal vintage, or farmhouse industrial style you choose how to simply make it yours. The smell of the salt air and the sound of the wind through the trees set the tone for your sanctuary allowing you to shower outside, look up at the stars, garden, or simply sun bath with your favorite novel and glass of something chilled! Entertain your guests by the fire-pit in the evening after a full day at the beach then invite them to stay in one of two bedroom en-suites. Write that book, create that perfect meal, start that business, choose that sustainable life. Own this home! Listing courtesy of Deborah Chandler of Leading Edge Real Estate. Listing provided courtesy of Deborah Chandler of Leading Edge Real Estate.